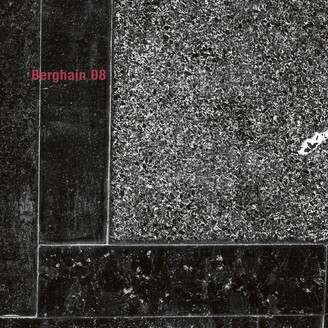 Ostgut Ton’s Berghain mix series returns with volume 08 by Fiedel. Available on 12” vinyl are four new exclusive tracks by Electric Indigo, Stefan Rein, rRoxymore, Boris & Fiedel. Few figures in Berlin dance music can claim as lasting and multifaceted a presence as longtime Berghain resident Fiedel. A former resident at Berghain forerunner OstGut, the veteran DJ and producer is known by heads for his decades-long influence on left-field techno and bass music in the German capital, particularly as one half of celebrated production duo MMM with Errorsmith, and co-operator of the legendary Wax Treatment parties together with Mark Ernestus of Hard Wax and Basic Channel fame. Indeed, Fiedel’s broad vision of what works on the dance floor is informed by grooves both in and outside the realm of 4/4 – from, acid, electro and jungle to hip-hop, dub und breaks – all subtly present in hybrid forms on previous releases for Ostgut Ton and his own Fiedelone and Fiedeltwo imprints. So it makes sense that the four exclusive tracks he has curated for the 8th edition of the Berghain mix series radiate the same off-kilter, bass-heavy and deep techno sensibility. Veteran Viennese producer, activist and DJ Electric Indigo kicks blasts things off with “Registers”, employing her trademark dubby and sample-heavy rhythmic constructions, minor chords and distorted hats. Driving and atmospheric, “Registers” sets the bar high not only for the 12-inch but also as the explosive opener for the mix itself. This is followed on A2 by PURE-TRAXX founder Stefan Rein, whose deep, hypnotic “Panther” transcends techno-tool status with entrancing siren melodies and psychedelic builds and releases. French-born, Berlin-based producer rRoxymore takes a sonic left turn on B-Side opener “Tropicalcore”, where bleepy, distorted and complex drum patterns recall both classic DMZ and later post-dubstep funk. Finally, B2 belongs to Fiedel himself, who teams up with fellow veteran Berghain resident and Berlin techno stalwart Boris on “Div’hain”. The track teems with with bubbling bass-lines, cowbells and claps shaped by modular synths, as well as elements of electro and boogie – but jacks hard. It’s a fitting closer to one of the mix series’ most eclectic 12-inches – made by one of Berghain’s most fearless residents.